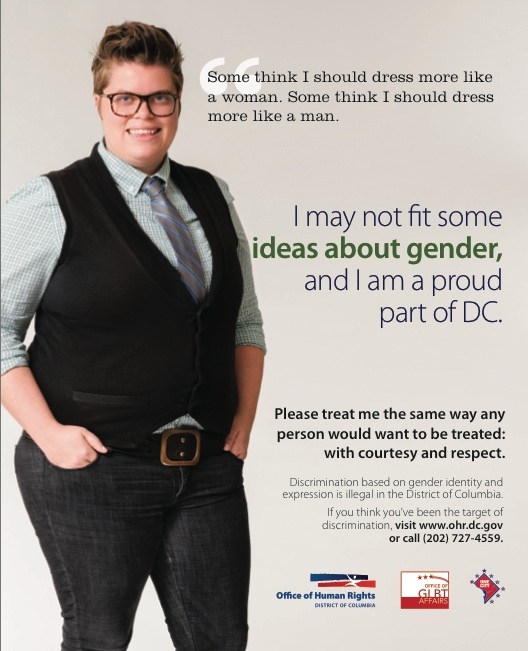 The District of Columbia Office of Human Rights (OHR) has launched a Transgender and Gender Identity Respect Campaign that advocates are calling the first government-funded campaign focused exclusively on the betterment of transgender and gender non-conforming people. Developed at the DC OHR in close consultation with transgender advocates and community members, the campaign aims to increase understanding and respect for the transgender and gender non-conforming communities, decrease incidents of discrimination and increase reporting of discrimination to OHR. The five campaign ads feature actual community members, and will appear citywide on bus shelters in the fall and winter of 2012. D.C. residents and visitors who see an ad are encouraged to photograph it and post to social media using the hashtag #TransRespect.